You'll be happy to hear that whenever you need refurbishment services, you can count on us to provide you with the greatest services you could possibly as for. and it's easy. Our office staff will happily answer your questions and also provide you with a free refurbishment quote. You are guaranteed endless help with our support team. Our office is open every day a week and our phones run non stop. 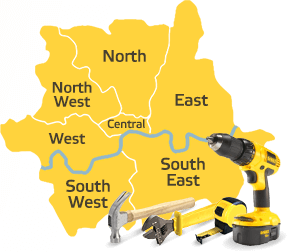 Because decent refurbishment services are hard to come by, we’d like to offer you the best home improvement in London at the best value for money. It doesn’t have to be too difficult. As long as you call us now, we’ll provide you with all the details, as well as a free quote so you know how much, roughly, you will be paying. There are no delays, no hidden fees and no stress with us. Our phone lines always run non stop, so you can get in touch whenever is best for you.